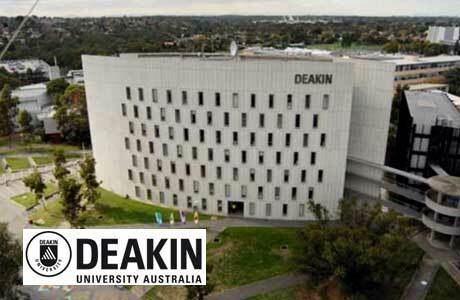 Deakin University was established in the 1970s as one of the new generation of Australian universities. Named after Alfred Deakin, Australia's second Prime Minister, Deakin combines a university's traditional focus on excellent teaching and research with a desire to seek new ways of developing and delivering courses. Deakin has won several awards for its teaching and learning excellence - testament to its excellent facilities, flexible study options and courses which are informed by industry professionals. Deakin University offers Deakin Vice-Chancellor’s International Scholarship. Deakin recognises students with consistently high academic performance with the potential to make a leading contribution to the University and its communities. > have achieved an 85% average (or equivalent) in previous studies. This scholarship is open to all students commencing studies.